Please leave a message below. Let us know what you think of the Antique & Classic Boat Festival. Or ask any questions you might have that we have not addressed on our web site. You can also directly contact Frank Conahan at 978-831-7905 or Jean Fisher at 781-690-9707. I always wanna join that event.. Certainly. Please come. I’m sure you will enjoy the maritime history and older boats at the festival. My name is Paige Mathewson and I am the Marketing Coordinator for BoltDepot.com, an online fastener retailer. We currently stock over 20,000 fasteners and we even carry brass & bronze. Our warehouse is located in Hingham, MA making us a prime supplier to local marinas in need of fasteners. We sponsor and attend many events across the country each year. 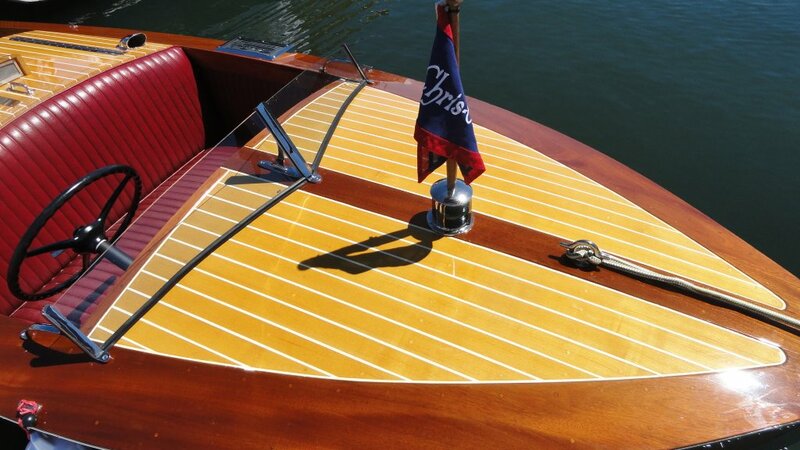 The Antique & Classic Boat show may be the next to add to our schedule. I am looking for some more information regarding sponsorships and or landside exhibitor. The best way to contact me would be through email. I am happy to tell you that Antique & Classic Boat Festival was chosen for the 2018 Best of Lynn Awards in the category of Local Business. The Best of Lynn Award was created to acknowledge the best businesses in our community. Thank you very much! we are honored to receive the award. I responded on your website. We just wanted to let you know that domain FESTIVALBOAT.COM is being released back to the market. Since you own BOATFESTIVAL.NET, we believe that you might have interest in securing FESTIVALBOAT.COM as well. If you are interested, please go to: http://worldnamedomains.net/domains/festivalboat.com/3986342 to get more information and confirm your interest. All the additional information is available on our web site, but feel free to reply back to this email and we will be more than happy to help you. Both are about equal distance from the marina. I’d say about a third of a mile, maybe a touch more. I helped out last year in the volunteer pool, helping to get people on and off boats. I’m an architect and live in Salem. Do you need any help this year? My elderly parents would probably enjoy a visit to see these vessels, but they are both limited in the amount of walking they can do. The walk from the garage at the wharf would probably wipe them out. Is there any handicapped parking available closer? Or perhaps other arrangements could be made to transport them from the garage? I learned from the Marblehead Arts Association that there are opportunities for vendors at your 2018 show. I am interested in learning more the vendor portion this event. I wonder if there is a booth/vendor fee, and what size area would be available to display my products. Is there an application process? Although the dates for your event may not work out for me this year, I’d love to be a part of this celebration going forward. Any information you can provide would be most appreciated! BTW, my company is riggerswife.com. I use marine line and marine hardware to create custom made spliced and whipped “deck jewelry” for dogs, as well as other products that incorporate marine line and knots. I think my products would be a perfect fit for this event! Are you still accepting donations for the silent auction at the 2018 event? My company would like to make one if you think it would be a good fit. Thanks! Sorry to take so long replying; our website has been acting up. We’d be glad to get your donation. It looks like a lot of fun! My boat is a 1982 fiberglass 16′ Whitehall built by Jim Thayer of Grand Mesa Boatworks. Is this a boat that your festival would be interested in? If so I could trailer it up to Salem. Please advise. We have an old boat that has been a lot of work just to get it to float.. But it does..??? Anyway it’s a 1972 31’ Jersey Sport Fisherman. Built by Fred McCarthy. One of the first solid glass built hulls built in NJ. The boats name is the Cally M out of Windemere Harbor in Hull Massachusetts. Looking to participate in the event. Any further info would be appreciated. We’re about to send out a mailing. Lots of info in it. I’ll email you to get your address in Hull. Where else is this held? I would love to see this! At Brewer Hawthorne Cove Marina in Salem. See the plan your visit page for details on how to get there. You must be bussy because of this boat festival. I want to know who are usually participants who participated in this boat festival? Hi! I am from Where magazine. I would love to connect with someone about advertising this in our July and August issue. We are distributed in hotels all over the North Shore and work closely with Destination Salem! I will forward your email address to our publicity committee. They will get it touch with you. We will be sending out a mailing for this year’s festival later this month. I’ll email you directly to get your address and get you on our boatowner’s list. Also, the website will be updated as times goes on. This must be a very busy and exciting week for you as you get ready for the Boat Festival in Salem. I hope that you or someone you designate will email pictures with captions that can be shared on the ACBS website. Our viewers love to see all kinds of vintage boats and people having fun with them. I’ve notified our “official” photographer. BTW – my wife and I spent some some time in Clayton last fall. Loved the museum and everything about the area. Hello Pat et al; pleasure to learn of your Salem antique boat festival; not from a yachtingbuff; but from one who over many years has enjoyed trips on sail , yachts, big cruises (Cunard, e.g.) question: what is cost if any to board antique boats at Salemharbor? and do you have ala England any steam powered Yacht type crafts? was on one years ago on Englands Lake Windemere; then NO power boats except steam. also directions to piers from MBTA bpublic transit or pier by boat from Boston? Admission to the show is a mere $5. It seems we will have a steam-powered boat – DRAGON, a reproduction of an 1882 Herreshoff Steam Launch. She is powered by a genuine 1882 steam engine which was found with a retired steam boat captain in Mississippi. It is a very rare survivor, one of only two such engines known to exist. 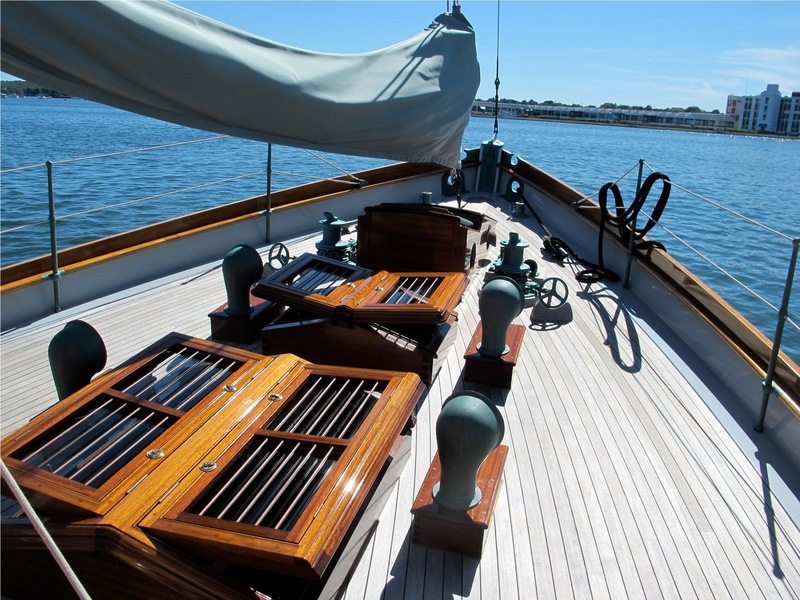 Check here – http://boatfestival.org/classic-and-antique-boat-festival/plan-your-visit/ – for the festival’s location. We are right next to the Boston ferry if you take that to Salem. We do have classic, but non-wooden boats in the show. It seems like your boat would be a good fit. Now, our dockage is full, and I have just removed the online registration form from the website. But, there are spots for trailered boats and we could fit you in. If you would like to attend, let me know (jhermanski123@gmail.com) and we can figure out how to get you registered. I am on a slightly odd quest. I’d like to learn to row a classic dory, but I have no idea where I might find one and someone to teach me. I found the festival site and thought, perhaps, you might be able to point me in the right direction. Thanks! Not an odd request. Gloucester is where you want to look for traditional rowing clubs and dories. I would like to know how to become a vendor at your event. We aren’t selling anything, only getting exposure to our company and offer a raffle for $10,000 worth of Windows and Doors. Are you still looking for websites for that page? I had a couple of boat preservation resources in mind that I thought your visitors might find useful. Would it be helpful if I sent them over? Sure, send along any good resources and I will add them to the web page. I’ll send you my email so you can reply to me directly. I would like to bring a group from Brooksby Village in Peabody, would there be any one that would be available to lead our group on a tour of the boats ? Thank you for your consideration. Does it cost to come to the festival? Are there tickets to purchase in advance or at the day of the festival? How much if so? Tickets to the festival are $5. You can get them at the gate on the day you attend the festival. Thanks for considering us and we hope to hear from you soon. I am checking in to see if the Festival could use more exposure in the greater Boston area – we are an arts & entertainment guide that comes out every other week, and we happen to have great space still available for our next issue dated Aug. 3-16 – it’s 2 weeks of exposure reaching thousands in the largest market in New England in a publication specifically geared towards socially and culturally active people looking for What’s Happening Around Town and * all throughout New England! We have the back cover available, that offers excellent visibility – as well as great, affordable space inside the magazine we need to fill by deadline Friday! We are in negotiation mode to get the space filled – get in touch and let’s work something out! Hope to hear from you asap – thanks for your consideration! Pat Wells, our Festival organizer, will give you a call soon to discuss details. Thanks for suggesting that you perform. BTW – I do the website for the Festival. Hoping this reaches whoever is handling any promotion for the Boat Festival – I work with the City Shopper Magazine, a weekly distributed throughout Boston and the surrounding communities. We have a couple of last minute opportunities if you were looking to get more exposure for the event in the Boston area. We deadline tomorrow for our issue dated Aug. 12-18 and still have the back cover and a full page to fill – we are offering these excellent exposure spaces at a deep discount due to the last minute nature. We reach 25,000 readers so it’s a great opportunity to reach a large market at a great price. We would need artwork provided to us and confirmation of space asap – get in touch if there is interest and we can discuss pricing. Hope you can take advantage of the opportunity! Thanks for your time! It seems we lost a “y” in the email address for our volunteer coordinator, Cheryl. She should be getting back to you quickly. Thanks for helping us debug our website! I have tried several times to email this address to volunteer for the event mbca.cpc46@gmail.com, but it appears this is a bad email address. Anyway I would very much like to volunteer. I hope to hear from you. Our Team will be having a BBQ Team Cookout & Beach Party Bonding Event at the Swampscott Yacht Club at 425 Humphrey St in Swampscott on Thursday June 4th. . We would like to know if you would be interested in donating a gift certificate, goods or services to our raffle / door prize donation list. This will help our team us to participate in Team Bonding Events, Team Dinners, the banquet, awards, gifts, supplies and more. Please help us make this season a successful one. Gift Certificates can be mailed to the school at the address below sent to the Attention Girls LAX Team or can be picked up by one of the team members or parents by emailing laurylapointe@yahoo.com or calling 978 239 0690. I have a Binnacle & Compass from A. Lietz of San Francisco. This was original to 1906 71′ lawley “NEEDLE”. Please contact me with any info you may have. Please remove my contact info from your yearly mailing. I no longer publish the Concordia Newsletter. Tremendous posting, Specially home sales process. Thank you for sharing with us. Personally I like this process. Sorry for the delay here. Comment notification didn’t reach me. Festival dates this year (2015) are August 21-23. Something concrete. I have Hank Clark’s (former owner) office number. Presumably he knows who he sold Valhalla to. I will email it to you, as it’s not a good idea to post people’s phone numbers. I can’t remember who Hank sold the boat to after the unfortunate accident, but there are a couple of nice 1950’s Wheelers at the Point Independence Yacht Club down in Onset, MA. There is a boat of that name at my yacht club Port Norfolk. (Dorchester, MA) Do not know much about it it looks more like a novi hull with a flybridge. Hope they are of some help. If anything else comes in, I’ll post it here. I will put out the word to the Festival organizers and others who have been around longer than I have and see if someone can help you find the whereabouts of your Wheeler. Pat Wells (617-666-8530) is the person who handles this. She should be contacting you. You may want to drop her an email to make sure. Do you still have the parade of boats as part of the event? It was a great highlight! Could you link to Gloucester Soap Facebook please. Thanks. Sure, I’ll take care of that. What are the festival dates again? This is a plug-in test. Have you set the dates for the 2018 festival? Not yet, but it’s always one to two weeks before labor day weekend. Yes we do. And we are looking for some. Please contact Pat Wells, the Festival coordinator, at 617-666-8530 or patwells@earthlink.net. I would like to know if you allow food vendors at your boat festival? If you do who do I get in touch with?